Home / Uncategorized / Cut costs to improve your bottom line. 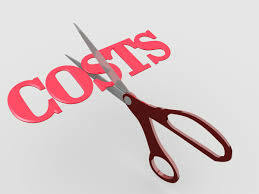 Cut costs to improve your bottom line. Back in 2005, Angie Mohr, in her book, Managing Business Growth, claimed that 96% of all small businesses fail within 10 years. Today it isn’t much different. Brian Martucci, in an article posted in Small Business, states that according to Bloomberg, 8 out of 10 businesses fail within the first 18 months. Richard Legg, in his 2017 book, Hidden Profits, claims that business owners get so caught up in their business that they’re unable to work “on” their business. As business owners, we must be able to step back from the business and keep tabs on what’s going on. We must spend more time managing the business and spending less time doing what the business does. Most business writers and consultants claim the major cause of business failure is “poor management. “ But according to Dun and Bradstreet, more than 85% of business failures are preventable. I don’t think it’s so much poor management as it is a lack of management. For example, if we can’t afford to take the time to learn and apply new ideas, attend workshops, read the latest books and keep up with the times – because we are so busy doing what we are in business to do – our business will soon be in trouble. A major purpose of a Chamber of Commerce, for example, is to provide its members with information essential to growing strong businesses. It would be wise for the members to take advantage of the learning opportunities, and to suggest other topics if the information does not meet their specific needs. I know that one of my problems in running a business was my tendency to spend like crazy when times were good, and then try to cut corners and skimp when business was slow. It took a while to learn that cutting costs, not quality or service, was an ongoing activity that maintained a healthy bottom line, and avoided any cash flow problems when sales dipped. Checking bank charges to ensure the best plan for your level of activity, switching to fluorescent light bulbs , which are said to use as much as 22% energy, printing on both sides of computer paper, hiring virtual freelancers from websites such as “Upwork,” finding a use for your by-products – there is no end to the possibilities for reducing costs. It only requires a questioning attitude and the odd brainstorming session with yourself or others, and a commitment to not get so involved in doing the work that you don’t have time to manage the work. Some of the ideas from my 30-page special “Promotion on a shoestring” report also reduce costs, such as using classified ads instead of display ads, sending out news releases to the media, trimming your product line, including sales pitches with product shipments, and offering downloadable products. In fact anything that increases sales indirectly reduces costs. This Promotion on a Shoestring report is available for download for $4.95 CDN at our website. Click here for a detailed description of the report. Previous post: Work on the critical, the crucial, and the quick. Next post: Add a little more music to your life.